So refreshing with just a hint of mint! Evenly divide the Spring Mix between four salad plates. 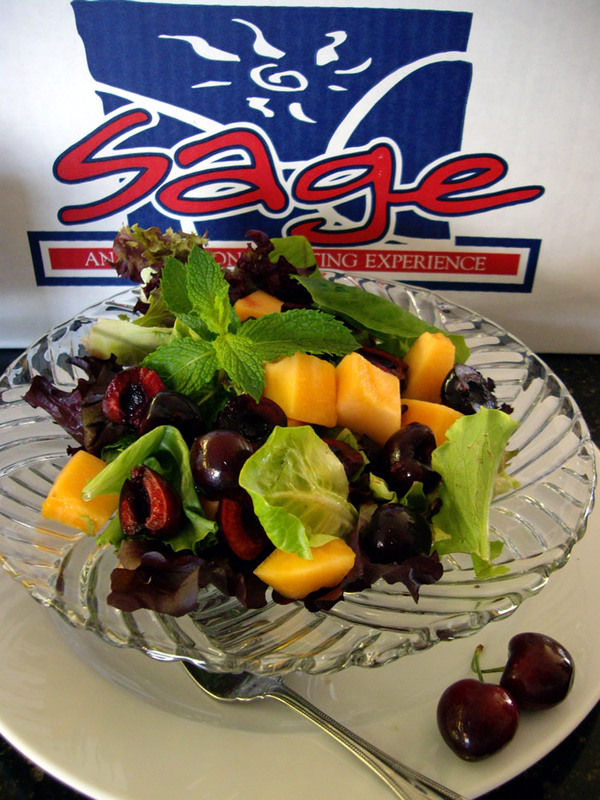 Top each salad with mint, Dark Sweet cherries and cantaloupe. Drizzle each salad with Cherry, Mint Vinaigrette (recipe below). Add all the above ingredients (not cherries) to a medium size bowl. Whisk all the ingredients until they are well combined. Add pitted and halved cherries to dressing to infuse with flavor. Refrigerated any leftovers.